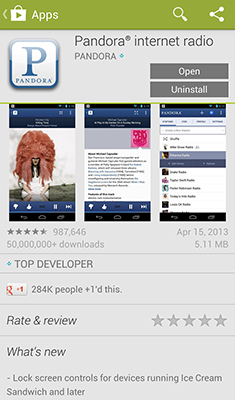 Internet radio applications are a great way to play music. Even if you live in a big city and have a full dial of broadcast radio stations, the options can get stale. Internet radio solves that problem. 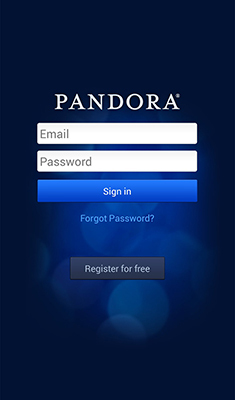 One of the more popular Internet radio applications is Pandora. Pandora allows you to set up your own radio station, which you can customize or modify as you wish. 1From your Home screen, tap the Play Store icon. 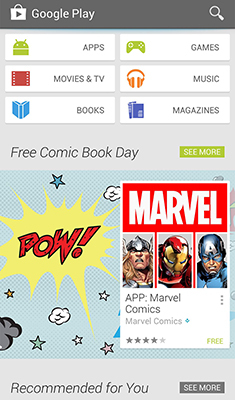 Your click opens the Play Store Home screen. Tap the magnifying glass icon in the upper right corner. 3Type in the word Pandora. This is the not first day on the job for Play Store. 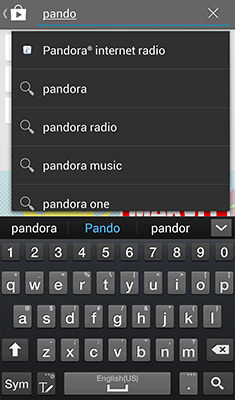 Before you have typed in more than the first few letters of Pandora, it jumps to the assumption that you want the Pandora Internet radio app. 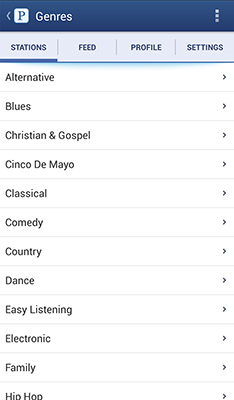 Click on the top options to select Pandora Internet Radio. 5Tap Open from the app page. 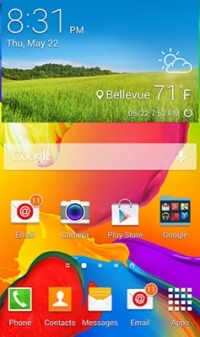 Instead of Install, the options of Open or Uninstall appear in gray boxes. 6Tap the Register for Free link. This assumes that you have not already created an account for, say, your PC. Enter the information and check the box that accepts the terms and conditions. Tap Register. 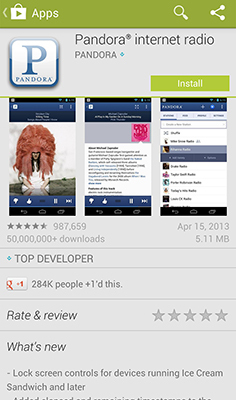 The app opens. To select a genre, tap the text box that says Create a New Station. You’ll be presented with a list of options. 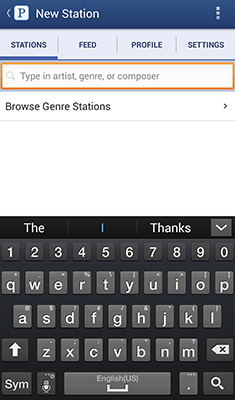 8Scan through each option for the exact type of station that you are seeking. Chances are, you’ll find what you’re looking for.